A man is pushing his car along, and when he comes to a hotel he shouts, "I'm bankrupt!". Why? 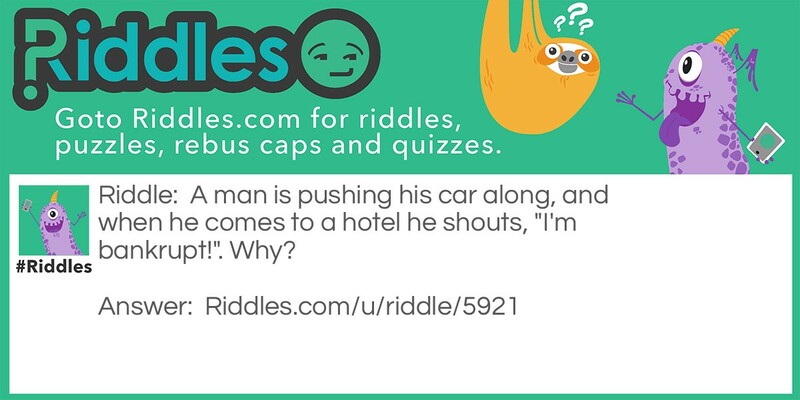 No More Money Riddle Meme with riddle and answer page link.